I've always been drawn to embroidery, ever since I was a little kid. 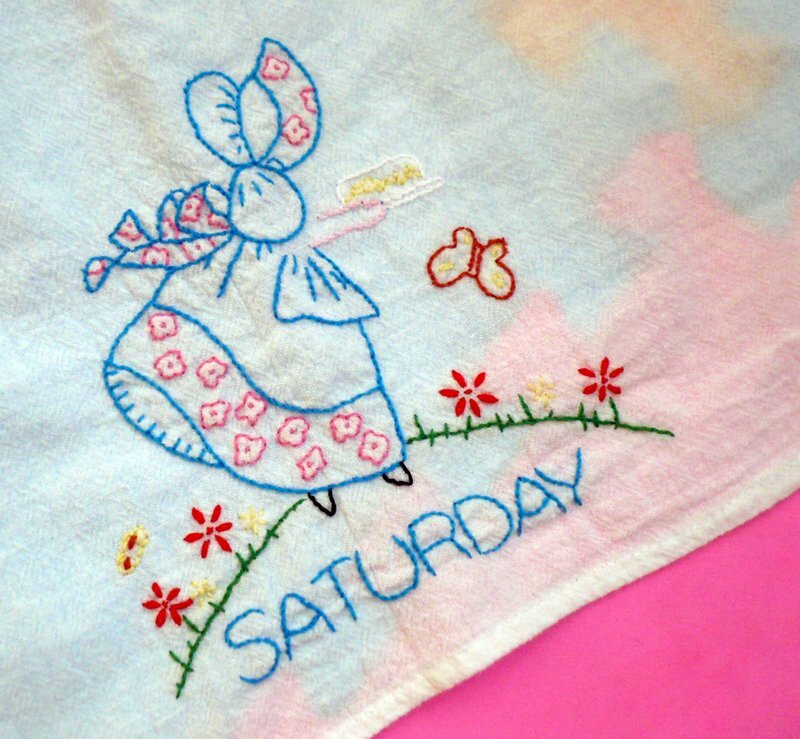 I started out with cross stitch, and for years, I felt as if I'd been born in the wrong era. I daydreamed about those scenes from Jane Austen and Louisa May Alcott, where the young women would sit in front of the fireplace, stitching up a sampler or some such thing, in their long gowns with their hair up, chatting about the latest ball dance or society party. Yeah. Right. Of course, now I fully appreciate and recognize how lucky I am to be alive in this day and age, with central air conditioning, indoor plumbing, and women in management. However, I still wish there was more time for handwork. 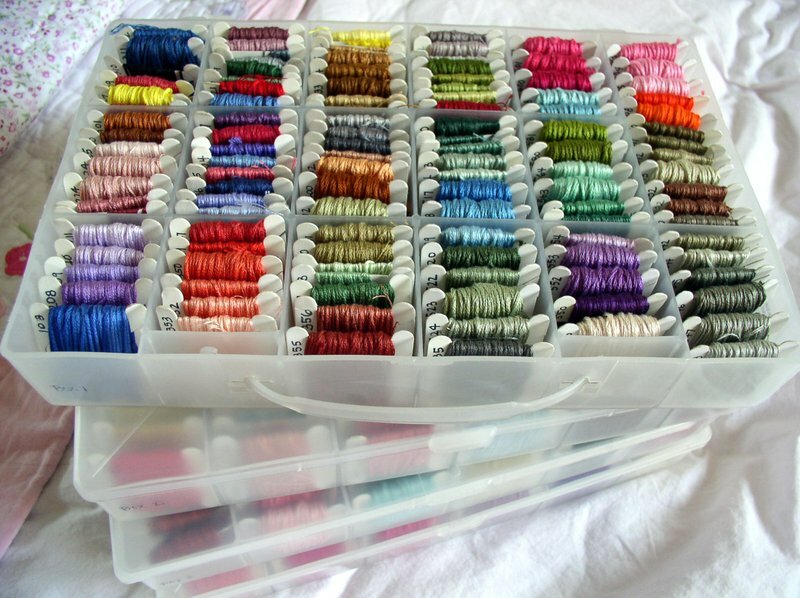 I've been thinking of hostessing a swap for a while now, of embroidered buttons as seen on the Feeling Stitchy blog. How's about it? Approximately 1" shank buttons, embroidered on cotton or linen, any subject or shape, using Amy's terrific tutorial. I'm thinking you'll send in five buttons to me, and receive five in return, each one from a different swapper. If you're interested, please send me an email (link in the upper left sidebar) before September 1st with your name, blog address if you have one, and snail mail address. The due date for this swap will be October 15th, which means your buttons need to reach me before that day. If anyone is interested in creating a swap button for this, let me know, I'll do my darnedest to figure out how to display it and put it up here. The colors of the floss look like candy to me, every flavor color imaginable. They hold such promise and speak of nothing but fun and creativity. Everything is possible. 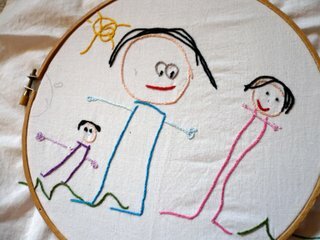 Love those cute little embroidered people. 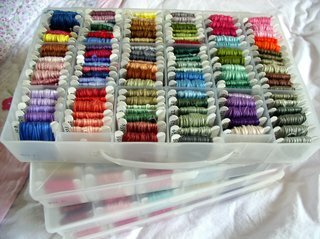 My embroidery thread is stored exactly like that! Your photo is lovely. 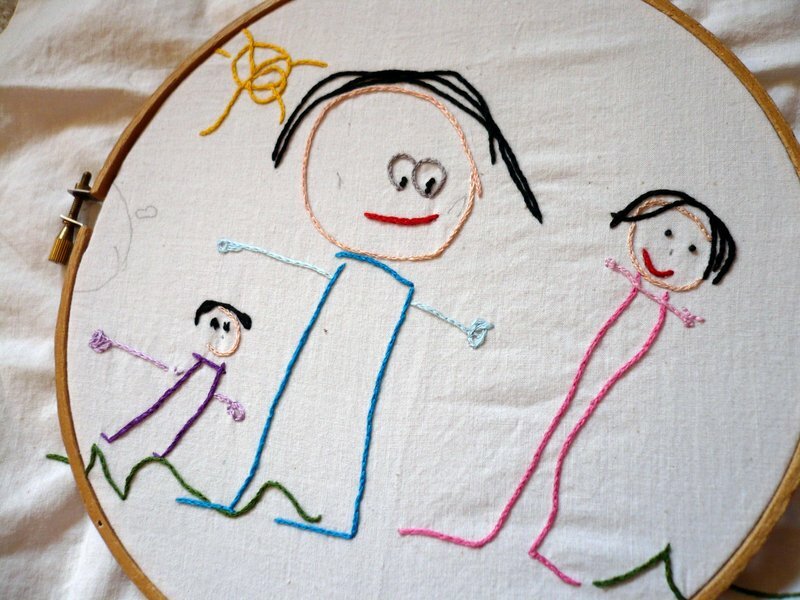 That sounds great - I've been wanting to do some embroidery!! I'm emailing you right away! I just got done doing this exact swap. It was so much fun, and it's amazing to see these little pieces of artwork. I just posted a picture earlier of everyone buttons, please check it out if you need some ideas, good luck! What a fun idea! I just bought an embroidery book so I could have easy access to more stitches. I've been practicing on felted wool and it's been fun. Oh man I'm so bummed I missed this! I hope to participate next time!! Hi! I just wanted to ask your advice on swap hosting. I've been thinking about hosting a handmade greeting card swap this Spring, organized similarly to your button swap. In hindsight, do you have any recommendations on having everyone send you the swap items and you dividing them up and shipping them out versus everyone mailing each other themselves? Did the cost become a big burden to you? Thanks for any advice.